If you want to get the greatest benefit from a beam of light – whether to detect a distant planet or remedy an aberration in the human eye – you need to be able to measure its beam front information. Now a University of Rochester research team has devised a much simpler way to measure beams of light– even powerful, superfast pulsed laser beams that require very complicated devices to characterize their properties. This creates an extremely stable “Interference” pattern for Guo and his team to measure all the key spatial characteristics of a light beam- its amplitude, phase, polarization, wavelength, and, in the case of pulsed beams, the duration of the pulses. And not just as an average along the entire beam, but at each point of the beam. This is especially important in imaging applications, Guo says. “If a beam is not perfect, and there is a defect on the image, it’s important to know the defect is because of the beam, and not because of a variation in the object you are imaging,” Guo says. 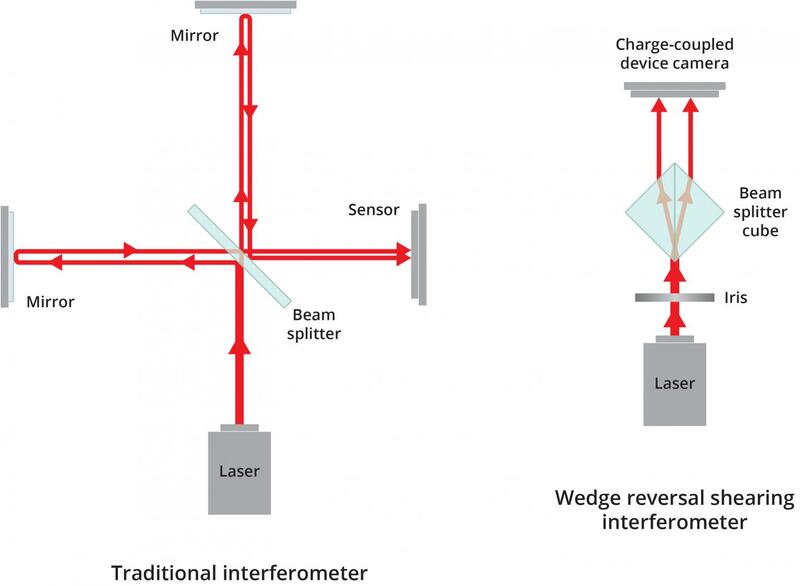 This approach has worked reasonably well for characterizing continuous wave laser beams because they have a long “coherence” time, allowing them to interfere even after being split, sent along two paths of different lengths, and then recombined, Guo says. However, given the short duration of a femtosecond pulsed laser beam – about a millionth of a billionth of a second – “Simple interferometer like the shear plate, where the beams reflected from the front and back surface interfere, no longer works.” Guo says. Femtosecond pulsed laser beams would quickly lose their coherence along non-equidistant pathways of a typical interferometer. Guo’s lab was recently awarded $1.5 million grants from the Bill & Melinda Gates Foundation – following three previous grants totaling $600,000 from the foundation – to develop sanitation technology with extremely water-repellent, or superhydrophobic, materials.